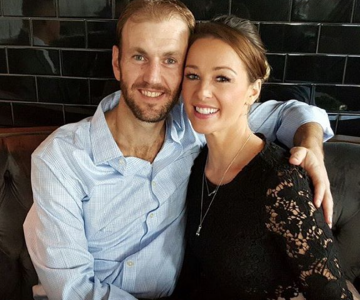 Jamie Otis and Doug Hehner were expecting a baby boy in December. Our hearts are breaking for Jamie Otis and Doug Hehner—the Married At First Sight stars announced today that they've suffered a miscarriage. Jamie was four months along. The couple, who announced their pregnancy on the TODAY show last week, were expecting their son in December. Jamie's been open about wanting to add to their family. "Anyone who's been following our journey on Married At First Sight and MAFS: The First Year knows how much I’ve wanted to be a mommy," she wrote on her blog earlier this month. "It’s really been my biggest dream in life. Ever since I had the joy of taking care of my younger siblings when I was in college I learned how sweet and rewarding it is to give love and care for kiddos." While this is no doubt a devastating time in their lives, those closest to Jamie and Doug are staying positive. “Jamie is the strongest woman I know,” a friend of the couple told PEOPLE. “And Doug has remained her rock through everything. Their love will get them through this."